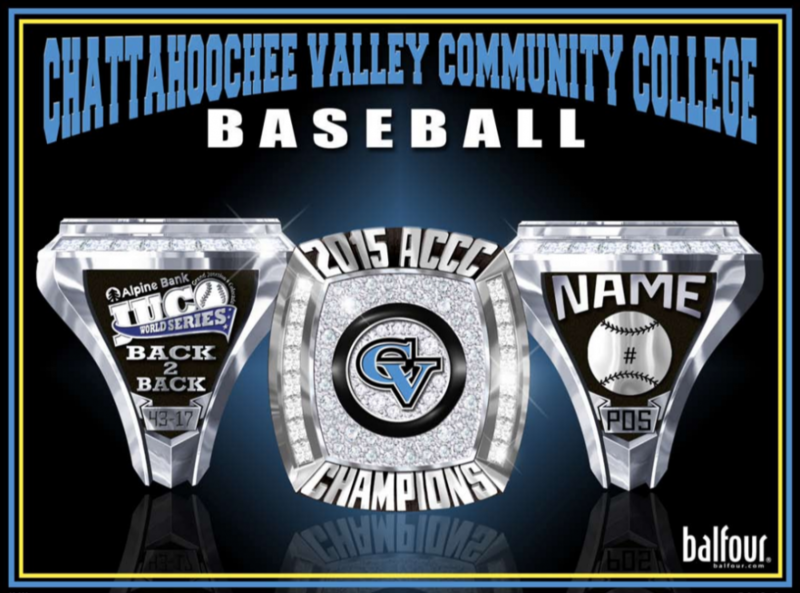 After a wild weekend in which the Pirates split with Wallace-Selma, Chattahoochee Valley refocused and came out playing CVCC Baseball against the Eagles of Alabama Southern, sweeping the home set, while splitting on the road to take the series and keep themselves in the thick of the ACCC Southern Division championship run. Game 1 was all Casey Cobb all day long. The redshirt freshman righty tossed yet another gem, stymieing the Eagle offense in a complete game effort. Cobb, the league leader in wins and ERA, and second in strikeouts, allowed only 2 hits while striking out 9 in his shutout performance. With the game scoreless through 3 innings, the Pirates exploded for 7 runs in the 4th, sending 12 batters to the plate. With 6 consecutive hits by Jaylen Smith, Carson Hughes, John Devine, Jayson Cook, Isaac Phillips and Kurt Ornowski, Hughes finished things off with his second hit of the inning to give Cobb all of the runs he would need. With Cobb dealing, the Pirates added one more in the 5th on a Jon Jon Foster RBI single to push the final tally to 8-0. Game 2 was much of the same, as freshman lefty, Cole Ganopulos toed the rubber at The Lake and turned in another spectacular effort of his own. Ganop tossed 6 innings of shutout baseball, scattering 5 hits and collecting 5 punchouts along the way. The offense scored early and in bunches, taking an early 1-0 lead in the 1st on a John Devine RBI double. Right back at ’em in the 3rd, the Pirates put up a 4 spot, as the Eagle pitching staff had trouble finding the zone, allowing 6 free passes in the inning, along with a 2 run single to Jaylen Smith to cushion the lead at 5-0. Not quite done, CVCC added 4 more in the 4th, when Devine led off with a double, Foster walked and Smith crushed a 3 run homer to push the lead to 9-0. After Ganopulos’ day was done, Alex Graulich came on in relief in the 7th to finish things out, but not before the Eagles scratched for 3 runs. However, a harmless popup to Carson Hughes ended the threat and the game in a 9-3 home sweep for the Pirates. Game 3 was an absolute offensive explosion for Chatt Valley, as the built a 9-0 lead after only 2 innings. In the first, an RBI single by Carson Hughes gave way to a 3 run homer by Jaylen Smith to give starter, Carson Hicks, an early 4-0 lead. In the second, the offense plated 5 more runs, led by Smith’s 2 run single and a Jon Jon Foster 3 run jack. Up 9-0, Hicks was able to settle in simply throw to contact in his 5 innings stint. Allowing only 4 hits, Hicks surrendered 2 runs in his start, never allowing AL Southern to get back into the game. The Pirates put the game away in the 5th and 6th, as Johnny Devine added an RBI single in the 5th, while Smith and Foster set the table in the 6th for an RBI double by AJ Willoughby and another run scoring hit by Devine. Up 13-2, Sawyer Steele tossed a 1-2-3 6th to close out the mercy rule shorted game. Game 4 was a sure loss by the Pirates, turned into a sure win for the Pirates, that eventually led to an extra inning walk off win for the Eagles. With the series in hand, the Pirates turned to closer Tyler Elkins to start game 4. Unfortunately the experiment did not work, as Chatt Valley found themselves in an early 5-0 hole after Pierce Smith relieved Elkins in the 2nd. Down 5-0 in the 4th, the offense woke up and pushed 2 runs across on back to back sac flies by Fuzzy Furr and AJ Willoughby to cut into the lead. Reliever Hayden Siniard did a solid job of keeping the game within reach over the next f2 frames, allowing only a solo homer, after the Eagles expanded the lead to 6-2. The Pirates kept coming though, as they loaded the bases with none out in the 5th, but only managed to score 2 runs on a walk to Foster and an RBI groundout by Furr to cut the deficit to 6-4. After Siniard’s solo shot to the Eagles to push the lead back to 3 for ASCC, the Chatt Valley offense exploded dramatically to knot the game at 7 apiece in the 6th on Jaylen Smith’s mammoth 2 out, 3 run homer. Sawyer Steele dominated the bottom of the 6th in relief of Siniard and allowed the offense to put up a 4 spot in the 7th, keyed by Tre Kirklin’s 2 run double and Brandon Hill’s RBI single. Up 11-7 in the final frame, Steele struck out the first 2 batters he faced. Then the unthinkable happened, 2 singles and a walk loaded the bases with 2 out and the ever dangerous Dylan Crutcher launched a first pitch fastball over the left field wall for a game tying grand slam. With nothing doing for the Pirates in the 8th, ASCC led off with a triple and scored on the very next pitch as a fastball sailed to the backstop to give the Eagles the improbable come from behind late inning win.